Following our report that some of Tesla’s top Referral Program referrers have been notified of an upcoming Model 3 invitation email, the Elon Musk-led electric car company has revealed yet another prestigious and arguably the company’s best prize ever – a Founder’s Series Next Gen Roadster. The Model X-owning family behind the community’s fastest growing YouTube channel Like Tesla sent Teslarati screenshots of their Tesla app, revealing a never-before-seen ‘Secret Level’ behind the app’s ‘Loot Box’ feature. Like Tesla, who received public acknowledgement by Tesla during last month’s VIP Factory Tour for having referred the most Model S and Model X sales on a global level, tells us that Tesla must have unlocked access to the Founder’s Series next generation Roadster on Monday, as it was not available just a day prior. 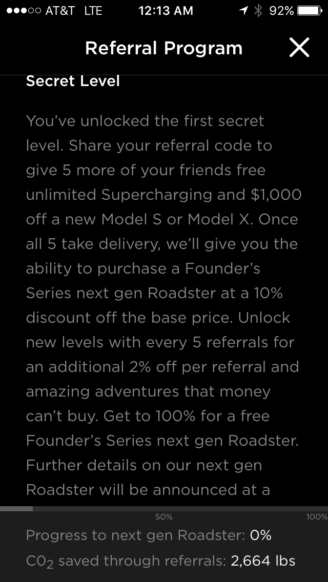 As part of the terms for the most recent Tesla Referral Program, existing Model S and Model X owners can gift 5 friends with a $1,000 discount off the purchase of a Model S and Model X, and free unlimited Supercharging. After making 5 qualifying referral sales through a personal referral code link, owners are notified that their links have reached a maximum number of uses. This is exactly what the folks behind Like Tesla experienced, until today. “You’ve unlocked the first secret level. Refer 5 more friends for the ability to purchase a Founder’s Series next gen Roadster at a 10% discount. 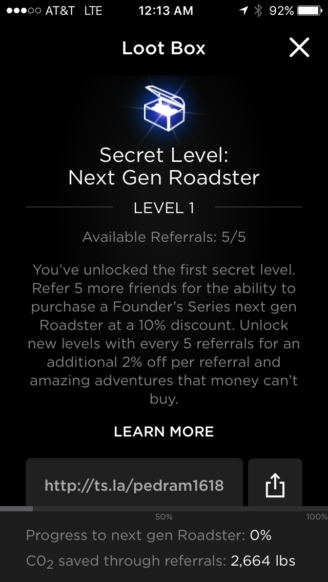 Unlock new levels with every 5 referrals for an additional 2% off per referral and amazing adventures that money can’t buy.” reads the description for Secret Level 1 under Tesla’s Loot Box. According to language found on the app’s Secret Level screen, referrers are eligible for a 10% discount off the price of a next-gen Roadster for every 5 qualifying referral sales they make. 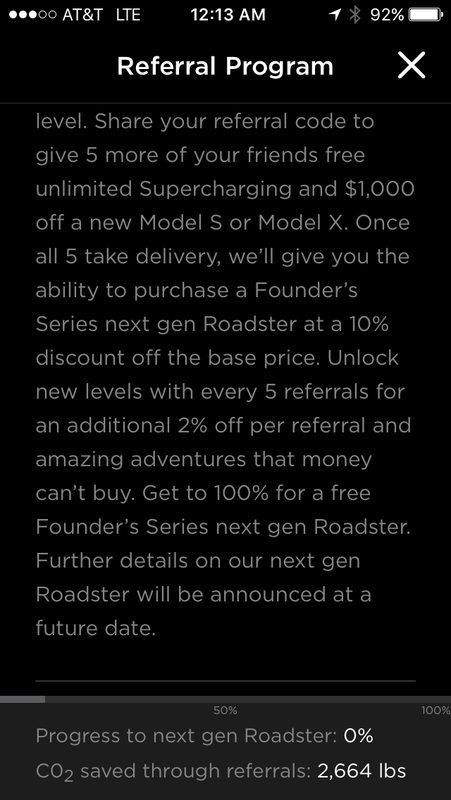 In essence, existing Tesla owners making 50 or more referrals should be eligible to a free Founder’s Series next generation Roadster. Not a bad deal for Tesla considering the referrer would have grossed at least $4 million in sales for the Silicon Valley-based electric car maker. Elon Musk has said on many accounts that Tesla’s next generation Roadster will be the company’s fastest accelerating car to date, and capable of accelerating beyond Ludicrous to Maximum Plaid. 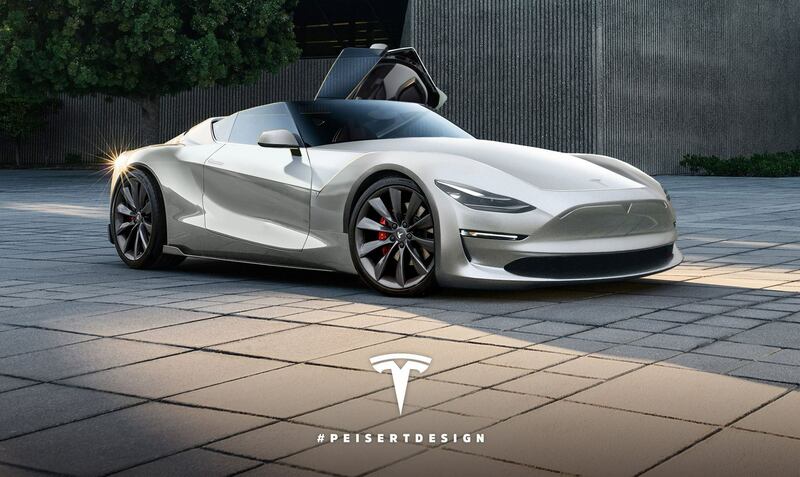 The limited edition Roadster is expected to have acceleration from 0-60 mph in under 2 seconds. That would an interesting target. Would, of course, only count if capable of doing so right off the production line with street legal tires. We want to thank Kim and the Like Tesla family for providing Teslarati with a first look at Tesla’s newest Secret Level 1 app screen. 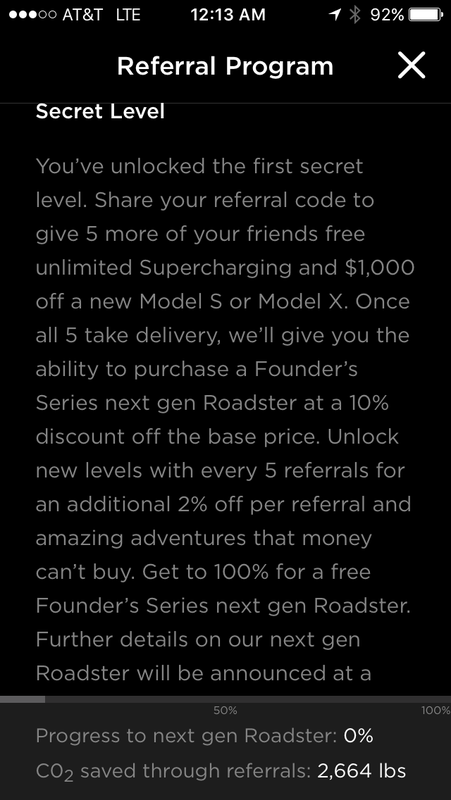 Feel free to subscribe and make friends with the folks at Like Tesla before using their referral code, and help them unlock Secret Level 2, 3, 4, and beyond.